xiaomi Redmi Note 6 Pro will enter the Indian market on Thursday. The new Radmi Note Pro 6 features two rear and two front cameras. Xiaomi is ready to launch its next smartphone in India. Chinese tech company will take a look at Xiaomi Redmi Note 6 Pro at an event to be held on Thursday in New Delhi. The launch event will start at 11.30 hrs. Please note that the new Redmi Note 6 Pro is one of the successful smartphones of the company, upgraded variant of Radmi Note 5 Pro. Let us know that the new redmi note handset will be available exclusively on Flipkart, which has already been disclosed. About Xiaomi Redmi Note 6 Pro, the company has already informed that the sale of the phone will be noon at 23 noon on November 23. 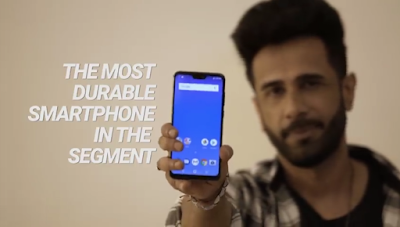 Besides the phone, besides Flipkart, I hope to be made available at the store and also on the MI.com. The phone was first launched in Thailand and it was introduced in Indonesia this month. In Indonesia, the price of the phone's base variant is around Rs 14,300. 4 GB RAM and 64 GB storage variants have been launched at around Rs. 16,250. It is worth noting that the company recently cut the price of the Redmi Note 5 Pro. Now 4 GB RAM and 64 GB storage variant is available for purchase at Rs 13,999. 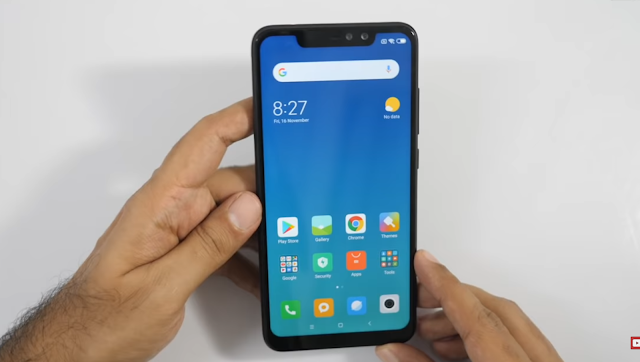 The upcoming Redmi note 6 Pro is also expected to be available between Rs 15,000 and Rs 20,000 in the country. The Redmi note 6 Pro has a display design and has a dual front camera. This smartphone of Xiaomi is made from Aluminum Uny body and has a vertical dual rear camera on the rear. Radmi Note 6 Pro has a 6.26-inch FullHD + 2280 × 1080 pixel resolution with an aspect ratio of 19: 9. This phone comes with corning gorilla glass display.f The Snapdragon 636 processor is in the phone itself. Talking about storage, xiaomi has given 64 GB of storage in the phone with 3 GB, 4 GB, and 6 GB RAM. This phone can be set up to 128 GB of MicroSD card. It's a hybrid dual sim device. The smartphone runs on the Android 8.1 Oreo operating system based MIUI. The phone has an aperture F / 1.9, dual PD focus and 12-megapixel primary sensor and 5-megapixel secondary sensor with dual-tone LED flash for photography. In the phone, forward 20-megapixel primary and 2-megapixel secondary setup has been given. There are AI features in this front and back camera. The dimensions of the phone are 157.9 x 76.38 x8.2 millimeters. The smartphone also comes with a fingerprint sensor and an infrared sensor. xiaomi Redmi Note 6 Pro has 4000mAh battery and has 4G connectivity options like VoLTE, 3G, Wi-Fi, Bluetooth, and GPS. Flipkart Big Shopping Day sale 6th-8th December Come On India.